With your help an additional Cottonwood Dining room will soon be built in the garden area off the east wing of Cottonwood. Cost of New Dining Room is $375,000 … to date, thanks to many generous donors … almost 50% of the required funding for the dining room has been received. A person with dementia is less able to selectively filter out background noise; the result may be a feeling of anxiety and confusion which precipitates in behavioral responses. The current Cottonwood Dining Room (Cotina’s) hosts 45 residents. 97% of resident living on Cottonwood use one type or another of ambulatory aide. Of the 50 residents, 49 use a total of 61 mobility and ambulation devices – wheelchairs, walkers, motorized wheelchairs. There are up to eight (8) power wheelchairs in the dining room. Wheelchairs today are larger in length and width than they were when the Dining Room was constructed in 1994. With the congested space food service carts, and the number of staff required to serve, Cotina’s Dining Room is too noisy and over stimulating for many residents. QUIS evaluations (since 2010) continue to show the noise level during the residents meal time is loud and distracting, causing some residents to become agitated. To promote a quiet mealtime, and give the residents a better dining experience, only 25 residents should be dining in Cotina’s Dining room. 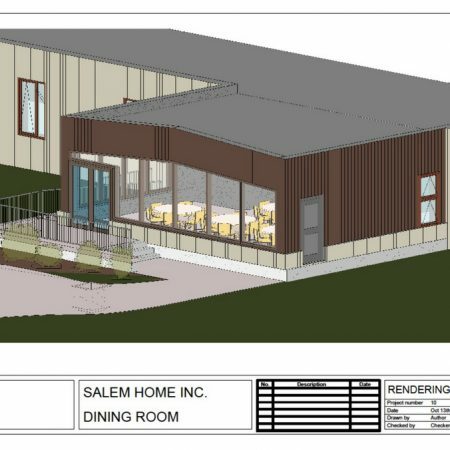 Donations of any size gratefully accepted (online, via mail or in person at Salem Home Business Office) … each donation blesses the Residents and together the sum of community support will build the new dining room they need! 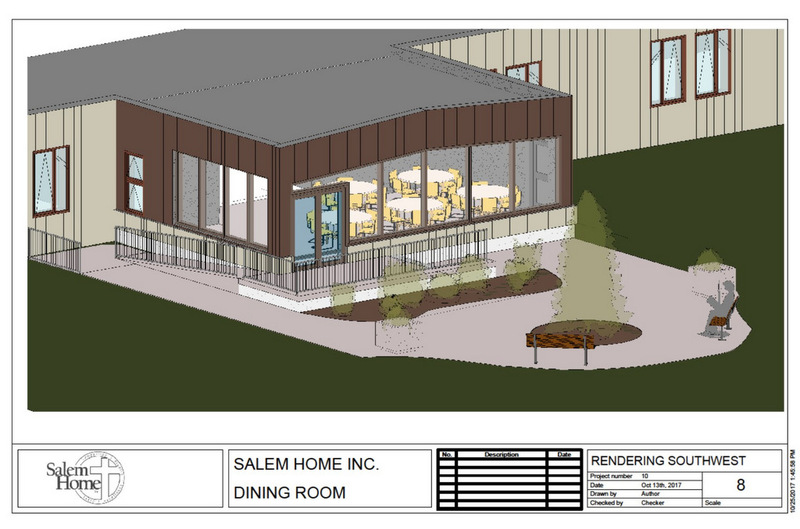 If you have any questions or would like to talk to someone about becoming involved in making the new Cottonwood Dining Room reality, feel free to contact any of the Salem Foundation or Salem Home Board Members or Sherry Janzen (at 204-325-4316 or sjanzen@salemhome.ca).